This is part of a 3-part series of episodes from “Marketing Today”. Host Alan Hart interviews John Thies, the CEO of both Email on Acid and Cause for Awareness (a non-profit). 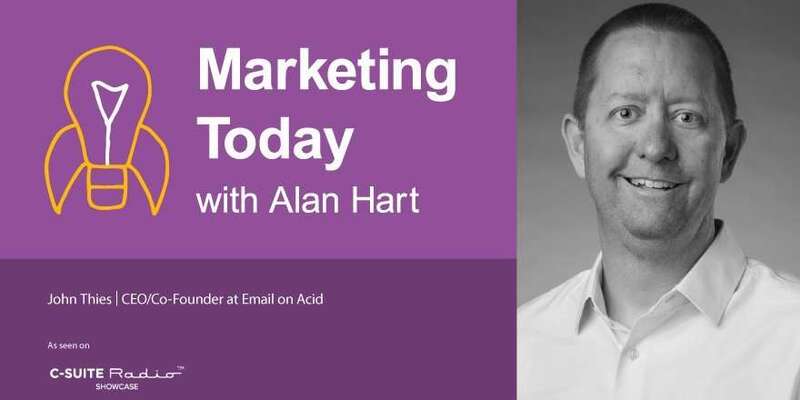 In this interview, Alan and John discuss how to design better email experiences (from the subscriber’s perspective). They discuss common beginner mistakes, modern personalization options and other design considerations. [3:27] – Discussing key elements of getting email “right” these days. [5:50] – Discussing common mistakes. [8:00] – What are other ways to personalize email? [10:29] – What advice would you give your younger self? [11:26] – Where do you go for information? [11:58] – What’s one thing you love/dispise? Email on Acid shows previews across many devices and clients so that designs can be tweaked for reliable delivery. Accessibility and designing emails that will be interpreted correctly in accessibility devices is very important for maximizing an email campaign’s reach. Beginners think (mistakenly) that email marketing is easy because sending basic emails is common. But, deliverability and telling a story are big challenges.